Experience the art of living in timeless elegance at our resort where we provide a village life experience to our guests where one can rewind and relax in the si-lence of the nature. Our resort is a glorious mix of style, top class facilities, where traditional aesthetics and architecture blend harmoniously. Our vast lawn space and unique collection of rare ayurvedic plants make it the ideal place to rejuvenate among nature and its ways. Get the feel of authentic Indian ayurvedic services at ‘Ayurkshetra’ or have a relaxing time under the stars be-side the pool, untouched by the city buzz, Karapuram village resort is a lost paradise and an oasis in a fast-paced world. Traditional, timeless and totally romantic, this place is bound to warm your heart and sooth your senses. 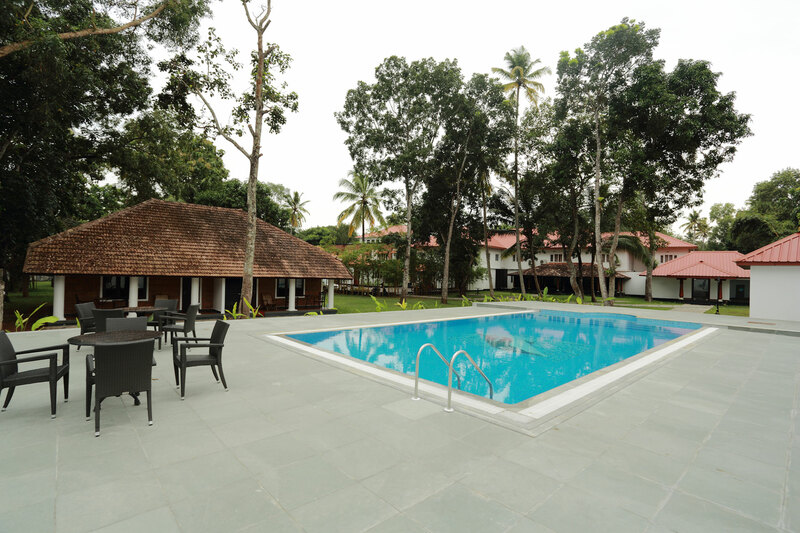 Karapuram Village Resort and Spa plays a pivotal role in promoting village tourism in Kerala. With its exotic cuisine, coir industries and fish farms, Karappuram is the ideal place to lose yourself in the charms of nature. Embrace the mesmerizing beauty of this untouched haven and feel the bliss of fresh air, pure potable water and the sound of silence. 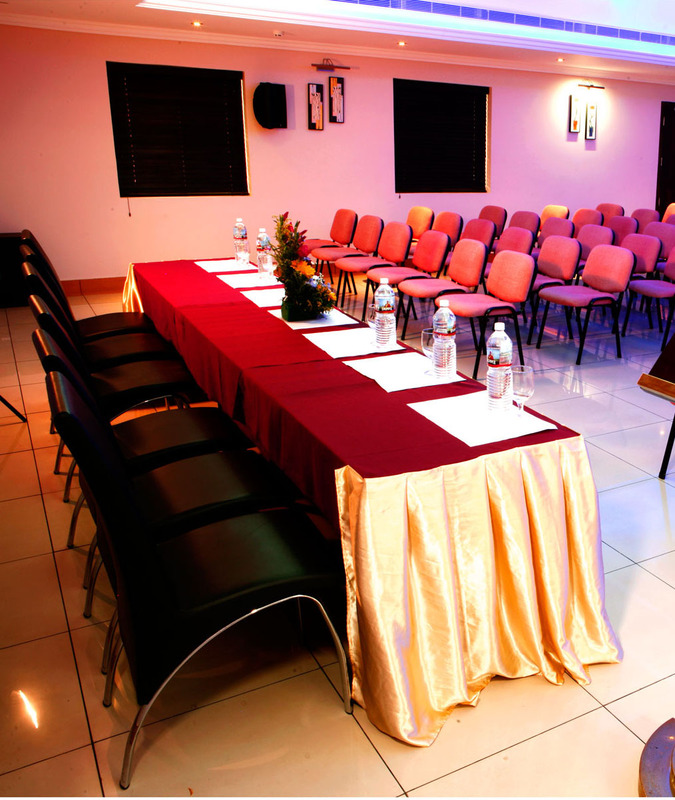 We have a state-of-the-art banquet hall which can accommodate 80 persons. It is an ideal setting for corporate meetings and other private social event. This eclectic space can be a perfect host to your next special occasion. 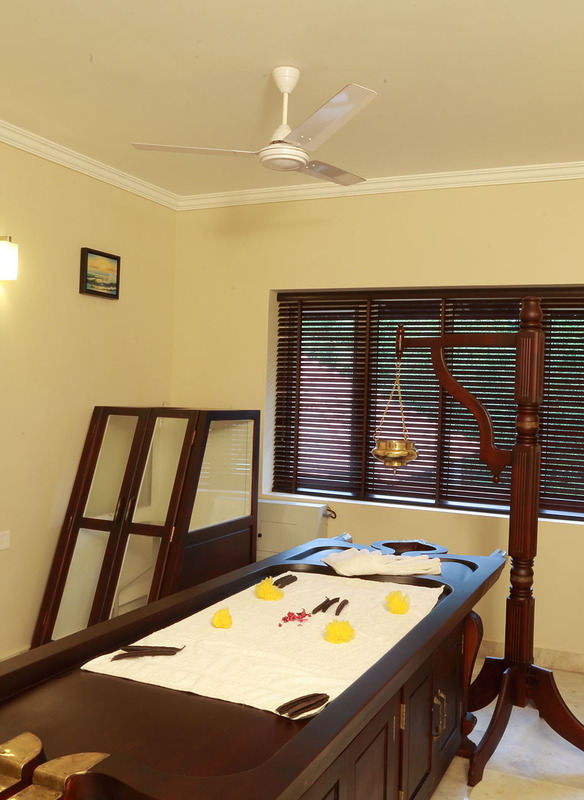 Apart from the exotic location and all the comfortable arrangements, we at Karapuram village resort, offer Ayurveda services at ‘Ayurkshetra’ our Ayur-vedic centre where you can unwind and rejuvenate while your stay. Your visit to our ayurvedic center goes far beyond pampering and indulgence. The ayur-vedic oils used at our centre come from our in-house factory, making it as pure as possible. Our guests can witness the making of the oils on request. Revive your body and soul with an invigorating session with our skilled therapists who are well trained and are the finest in the industry and master the art of us-ing an array of non-invasive techniques and indigenous ingredients to take you to new heights of relaxation and help you discover new personal wellness solu-tions. We offer a home away from home experience for you with all the required amenities. 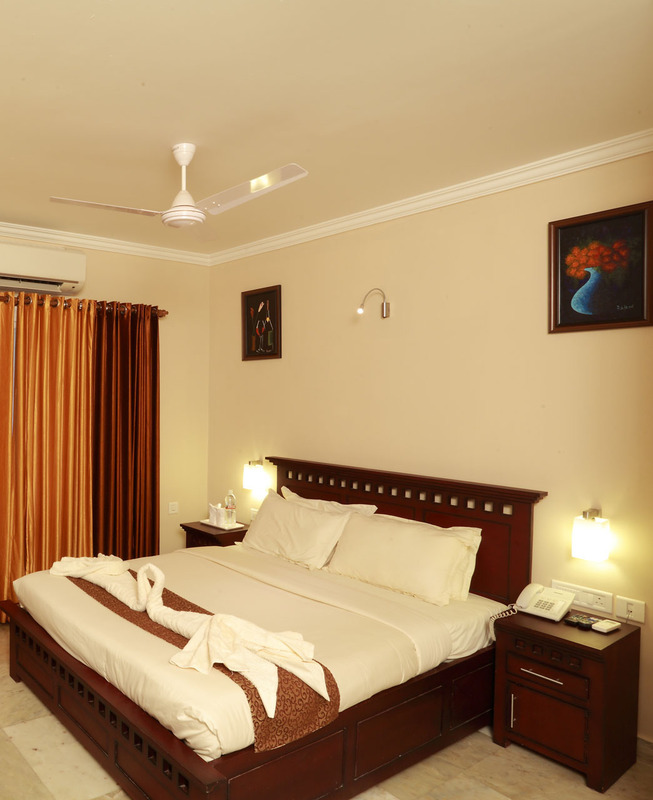 With 10 premier rooms, 2 suite rooms and 2 cottages, our resort of-fers the best of services as per the guests requirement. Get used to luxury in our spacious suite room which has a separate living and dining area apart from a beautifully decorated bedroom. Our cottages are located in the courtyard of the hotel on the lawns and right beside the swimming pool. The decor of each room has been done thematically, reflecting the tradition and culture of the vil-lage. Bursting with charm, our rooms are cosy, well lit with light color palette which offers the ultimate terms of comfort and with beautifully landscaped surroundings, stay connected to the fragrant work of nature.